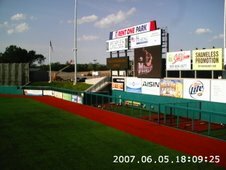 MARION, Ill. – The Southern Illinois Miners have signed former University of Connecticut outfielder Josh Farkes and former SIU Edwardsville pitcher Clay Zavada for the 2008 season. In 2006 at UConn, Farkes posted a .349 batting average and did not commit an error in 52 games. He also earned Player of the Week honors in the Big East. The strong-armed Farkes was slowed during the 2007 season as he recovered from Tommy John surgery but still managed to hit five home runs and drive in 26 RBI in 50 games. Zavada, a hard throwing lefty, comes to the Miners from the Arizona Diamondbacks organization. In his 2006 rookie season with the D-backs Pioneer League affiliate, the Missoula Osprey, he posted a 3.47 ERA with 51 strikeouts in 49.1 innings and walked only 15. In his 22 relief appearances he held opposing hitters to a .217 average. Following the death of his father, he took the 2007 season off to get his family farm in order. Zavada was selected by Arizona in the 30th round of the 2006 draft out of SIUE. In his final season in college he went 5-3 with a 2.42 ERA. He was second in the Great Lakes Valley Conference with 90 strikeouts in 70.1 innings. He is the fifth pitcher the Miners have added to the roster since the end of the 2007 season. Zavada was a college teammate of catcher Jake Smith who the Miners acquired in a trade earlier this week. 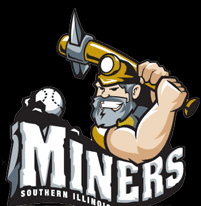 The Miners home opener is scheduled for Saturday, May 24 at 7:05 p.m.
MARION, Ill. – Starting this week fans will have a chance to buy official game worn jerseys from the Southern Illinois Miners inaugural 2007 season. Every week two jerseys will be auctioned individually on eBay. This will be the only opportunity for Miners fans to own this unique piece of history from the team's record-breaking season at Rent One Park. 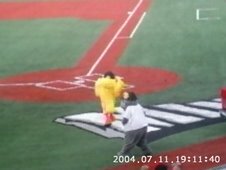 All jerseys feature the official inaugural 2007 season patch sewn onto the right sleeve and come with a certificate of authenticity. The first auctions will feature the No. 2 jersey, worn by Eric Harryman and Bryant Perdomo, and the No. 31 jersey, worn by Ryan Hanson and Joey Metropoulos. The auctions of these two jerseys will begin Wednesday, Jan. 23 at noon CST and run through Saturday, Feb. 2 at noon CST. Every week the team will auction two more jerseys. Starting Feb. 1, all subsequent jersey auctions will run from Friday at noon until the following Friday at noon. Schedules of future jerseys available for auction will be updated periodically on the Miners website so fans are encouraged to check here for updates. 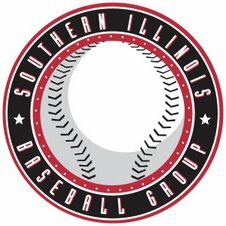 MARION, Ill. – The Southern Illinois Miners have acquired the rights to catcher Jake Smith from the Sioux Falls Canaries of the Northern League for a Player to be named later. 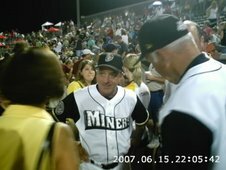 Smith played his college baseball at SIU Edwardsville and played his first two professional seasons in Sioux Falls, the first season under current Miners Manager Mike Pinto. 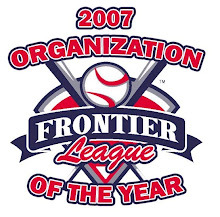 With the loss of Rob Wirth and Jason Arrowood to the league age limit following the 2007 season, the Miners were left without a catcher on the 2008 roster. In his two seasons at SIUE, Smith hit .291 with an on base percentage of .359. He received all- Great Lakes Valley Conference honors following the 2006 season. Information as posted on the Miners Website. 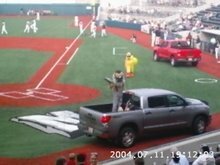 MARION — The Southern Illinois Miners have signed third baseman/outfielder Brad Arnett and right handed pitcher Jake McMurran for the 2008 season. 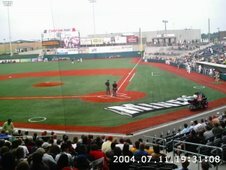 Both Arnett and McMurran played their college ball at Missouri Baptist University and spent the summer of 2007 playing for the NBC World Series Champion Havasu Heat. Two of their teammates on the Heat were current Miners Drew Moffit and Nick Starnes. Arnett hit .520 with an .840 slugging percentage to win MVP honors in the NBC World Series. With the Heat in 2007, Arnett hit .432 overall with 15 doubles, three triples, seven home runs and 10 stolen bases. He was an all-American at MBU where he hit .373 with five home runs his senior season. McMurran went 4-0 with a 1.98 ERA with his submarine delivery with the Heat. He struck out 41 batters while walking only nine and holding opponents to a .172 batting average. As a closer at MBU he went 4-2 with four saves in 13 games in 2007. While in college he earned all-America and all-conference honors in the American Midwest Conference. 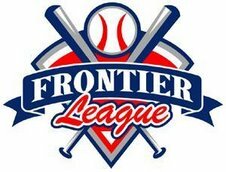 The Miners have now announced the signing of four players this month including pitchers Jon Bjelland and Nick Starnes last week. 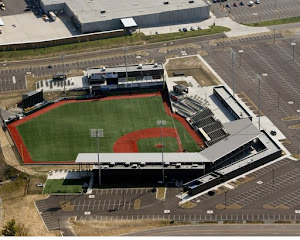 MARION, Ill. – The Southern Illinois Miners have signed left-handed pitcher Jon Bjelland and right-handed pitcher Nick Starnes for the 2008 season. This is the beginning of Manager Mike Pinto’s commitment to add even more quality arms to the Miners pitching staff. Bjelland went 11-0 with a 2.17 ERA and struck out 95 batters in 70.2 innings as a senior at Minnesota State University in 2007. This earned him Central Region Pitcher of the Year and First Team All-Region honors. In his career at MSU, Bjelland went 22-1 with a 2.26 ERA, striking out 184 batters in 147 innings. He signed with the Arizona Diamondbacks as a fifth-year senior in May of 2007. However, he was released by the D-backs when a small tear was found in his rotator cuff. Following successful surgery this past August, Bjelland has completed his rehab and expects to be fully healthy and ready for Miners spring training. 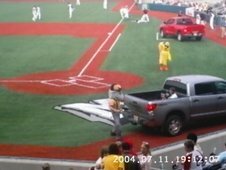 Starnes played four seasons at the University of North Carolina at Greensboro and was a teammate of Miners outfielder Drew Moffitt in the 2007 National Baseball Congress (NBC) World Series, the premier semi-pro world baseball tournament. Following his senior year of high school, Starnes was drafted by the Atlanta Braves in the ninth round of the 2002 draft but did not sign. That year Baseball America ranked him as the No. 31 best high school prospect. In 2007 he went 6-0 with a 2.34 ERA with the NBC World Series Champion Havasu Heat. He recorded 47 strikeouts and walked just 11 batters in 34 innings. 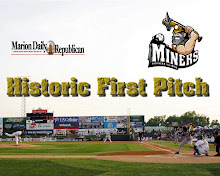 The Miners home opener is scheduled for Saturday, May 24 at 7:05 p.